From Monday, January 6th to Thursday, January 9th, Kinton Ramen (Twitter: @KintonRamen, Facebook: KintonRamen) held its first ever MEGA KINTON RAMEN EVENT. 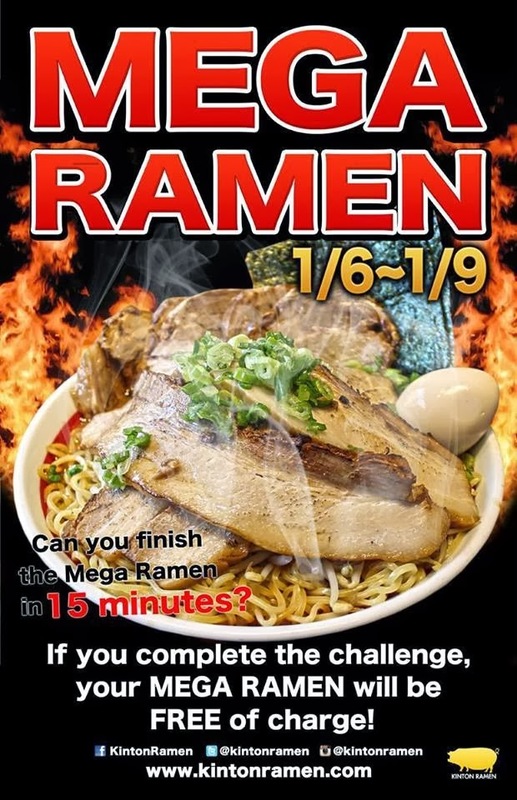 Participants must eat (and keep down) a bowl of MEGA RAMEN in under 15 minutes. 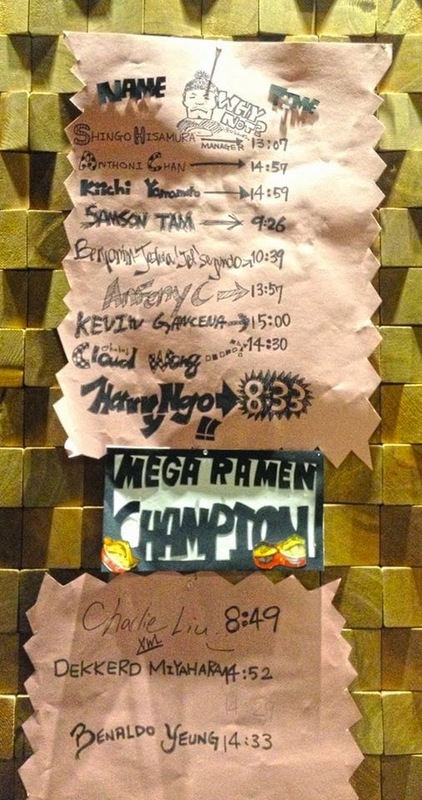 Successors are comped the price of the MEGA RAMEN and lifetime bragging rights. If you fail, you must fork over $30 plus tax. 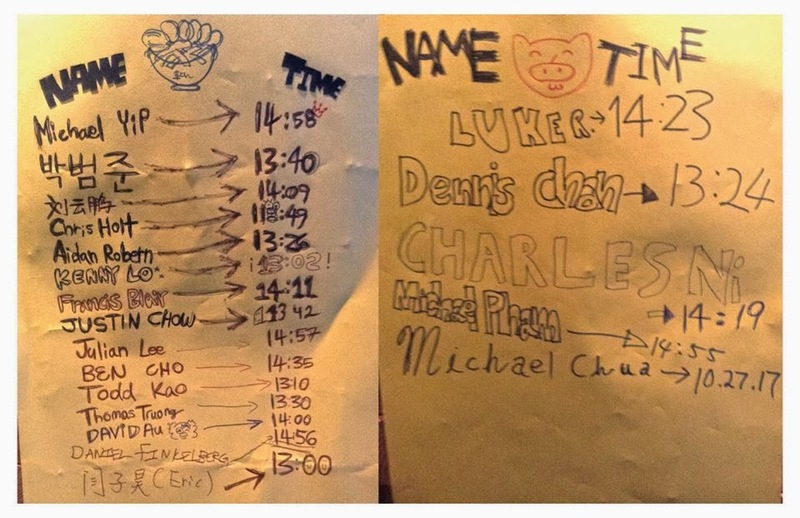 Contenders must also sign a waiver before competing. Is there such a thing as RAMEN SWEATS? 'Cause there is now! Complete in 15 minutes, or pay the full value of the Mega Ramen ($30). Sharing is not caring for this challenge. "Completion" means nothing left in the bowl and nothing left in your mouth. No dying or passing out. Don't push yourself too hard. Limited to 3 attempts per day... for your health. possibly death, risk of loss or damage to personal property. any kind arising from this event. they are physically and mentally fit to enter the Challenge.